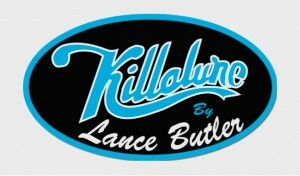 Category: LANCE BUTLER LURES, LURES. The innovative 2Deadly is one of Lance Butlers most successful designs, and certainly one of his all-time favourites when chasing big Barra and other large predators. 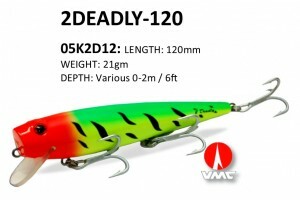 Thanks to it’s unique design and profile, this creative lure can be fished as both a surface popper AND a shallow diver in the same retrieve. 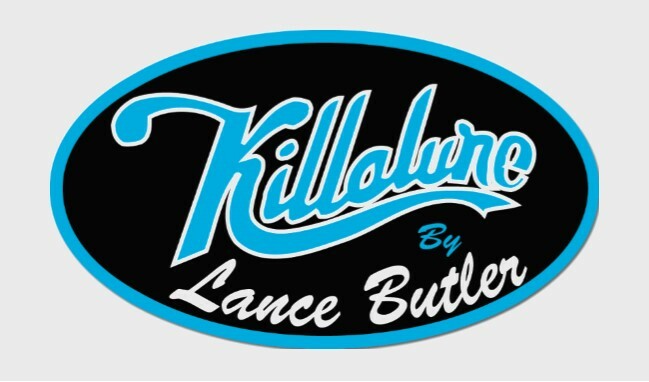 Lance has taken a traditional baitfish profile and included a flat-cut face which allows the lure to ‘pop’ and push water when fished on the surface. 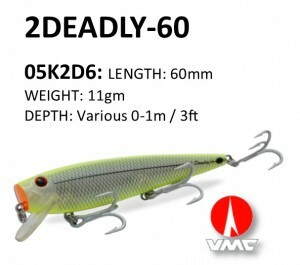 The addition of a small rounded bib also means the lure will dive and swim with a rolling, wiggle action when retrieved. 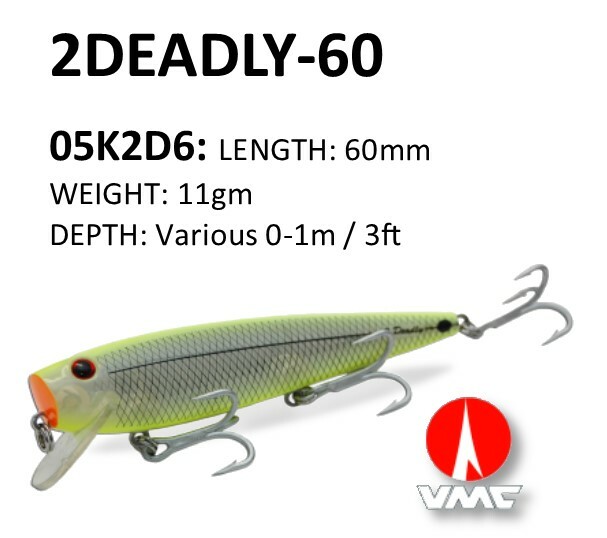 Ideal for fishing around heavy bankside structure, the angler can fire a cast right into cover, allow the lure to rest and then jerk the rod tip with a sharp flick of the wrist to make it ‘pop’ loudly. This draws the attention of any nearby predators with a sound that is very much like a feeding Barra’s ‘boof’. After giving the lure a couple of sharp ‘pops’, the angler can then crank the lure below the surface and twitch it back to the boat. 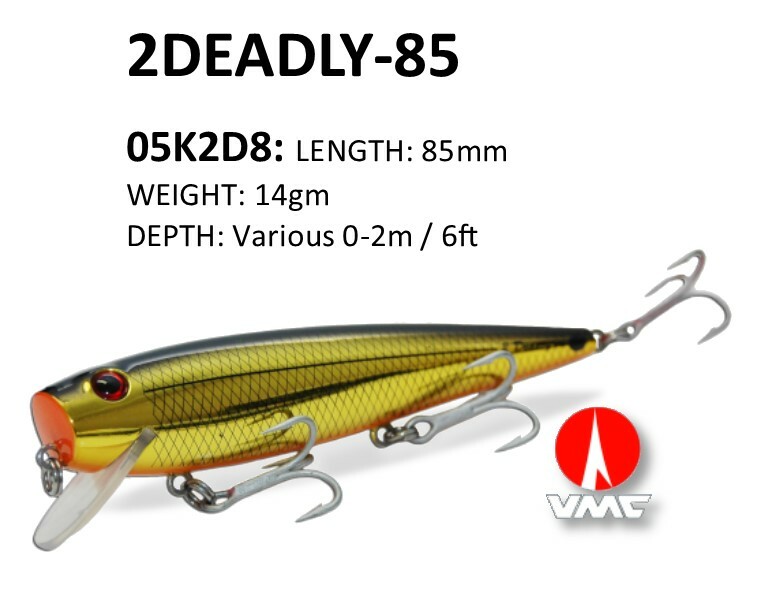 The 2Deadly gives anglers the best of both worlds; with the splash and sound of a popper, and the flash and vibration of a diver.